Barry says he feared disappointing his fans so he did not reveal his sexuality early in his career. 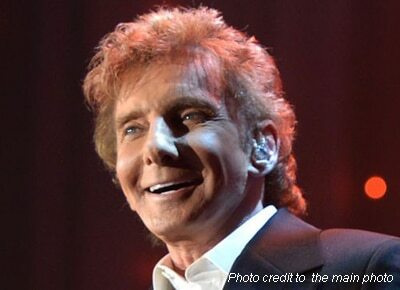 Barry Manilow has revealed he is gay at 73 years old. The pop legend confessed in an interview with People magazine his true sexuality and his marriage to long-time manager Garry Kief. Barry explained why he did not reveal his sexuality earlier. “I thought I would be disappointing them if they knew I was gay. So I never did anything,” he said. It turned out the opposite, as his fans have been very gracious and supportive of his revelation. “When they found out that Garry and I were together, they were so happy. The reaction was so beautiful, strangers commenting, ‘Great for you!’ I’m just so grateful for it,” he shared. He also expressed his gratitude to his fans on Twitter after the story in People Magazine was released. “Thank you to my fans for the years of support. My story is out and I look forward to many more years of sharing my music,” he posted.